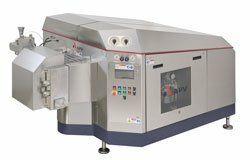 The APV Homogenizer is continuing in the tradition of excellence established by the renowned APV brands, Rannie and Gaulin. With a long history of application expertise and product innovation, SPX delivers the latest homogenizer technologies for the food, dairy, cosmetic, chemical, biotech, and pharmaceutical applications. SPX provides a vast range of equipment and services from a single source. Exceptional design, precision engineering, and quality manufacturing are all key components targeted at improving your process profitability. No matter what industry you're in, APV Rannie and APV Gaulin homogenizers can provide the right high-efficiency APV homogenizer to meet your requirements. With over a century of experience, SPX has the products and expertise to deliver the ideal configuration and installation. Whether you need models for laboratory, pilot plant, production scale or biotech applications, we bring extensive knowledge and dedication to satisfy your needs. You can achieve fully reproducible results for emulsions, dispersions or cell disruption that can be applied to full-scale production. 5-plunger homogenizer, equipped with a Mono-Block or a Three-Piece valve housing. Large selection of standard options as well as special options. 3-plunger homogenizer, equipped with a Mono-Block or a Three-Piece valve housing. 5-plunger homogenizer, equipped with a Mono-Block or a Three-Piece valve housing. 3-plunger homogenizer, equipped with a Three-Piece valve housing. 3-plunger homogenizer, equipped with a Mono-Block or a Three-Piece valve housing. Large selection of standard options as well as special options.